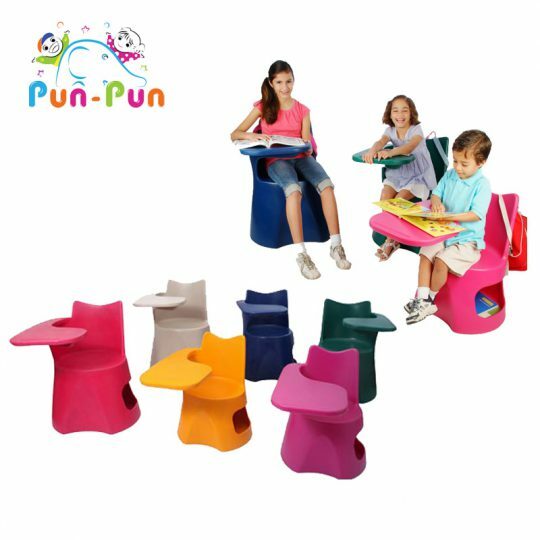 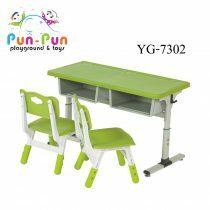 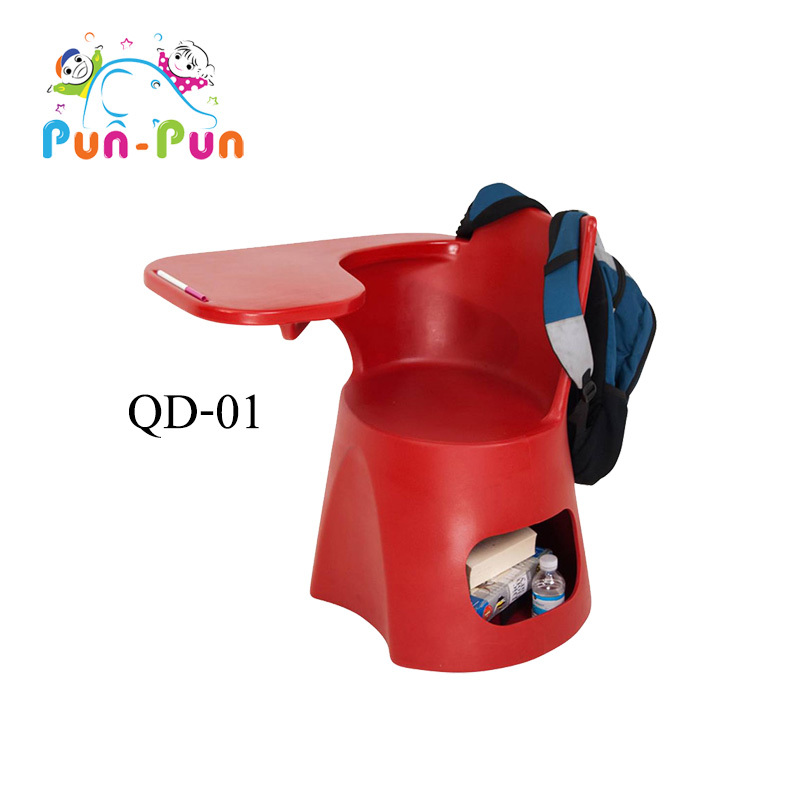 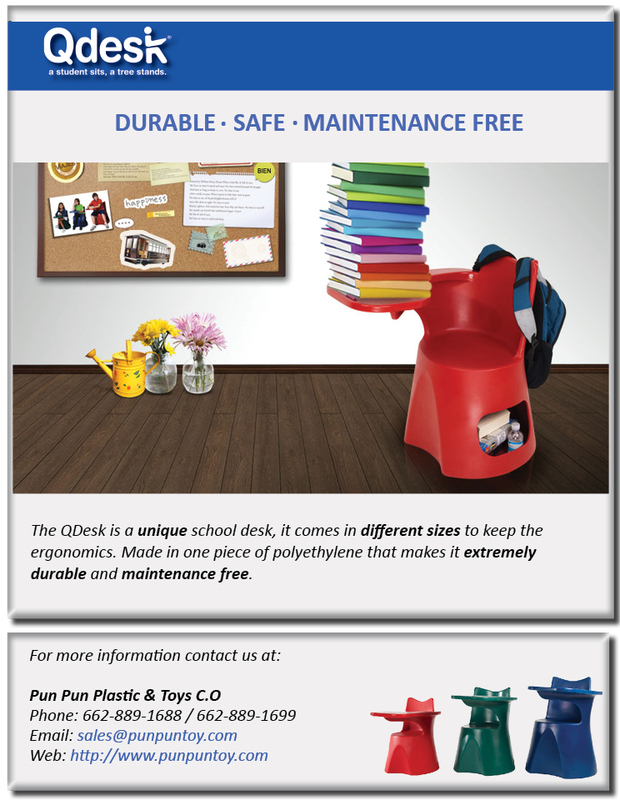 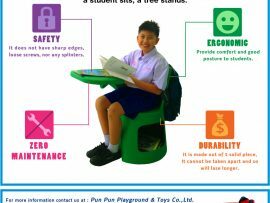 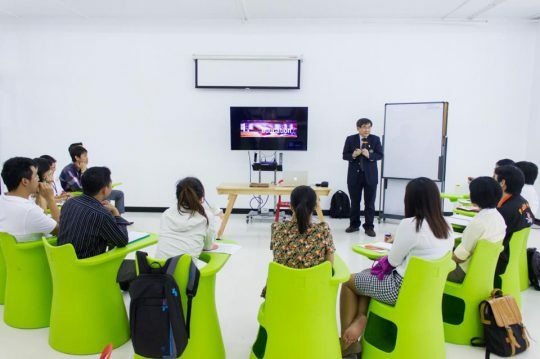 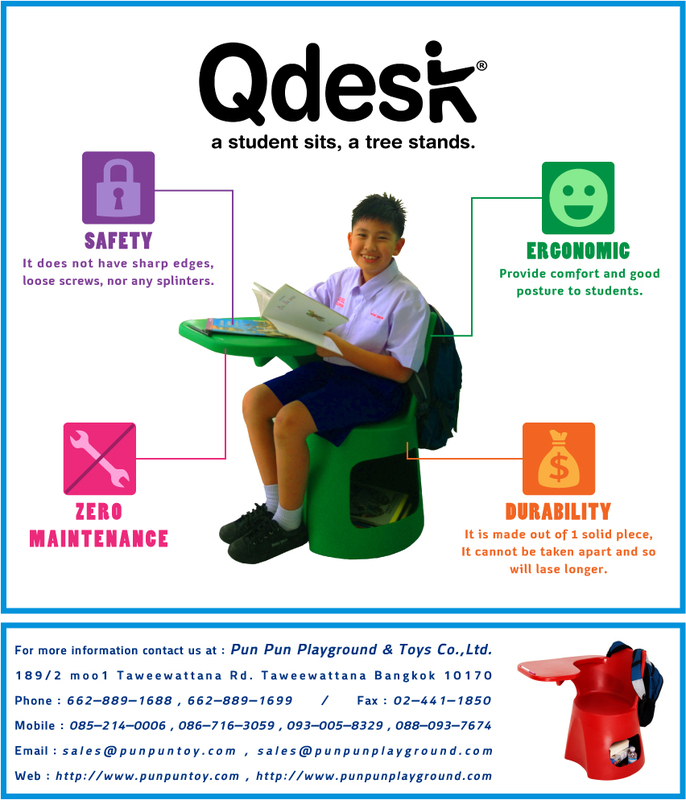 The Qdesk is a durable, environmentally-friendly, ergonomic, and easy-to-maintain classroom desk that is a perfect choice for your green classroom. 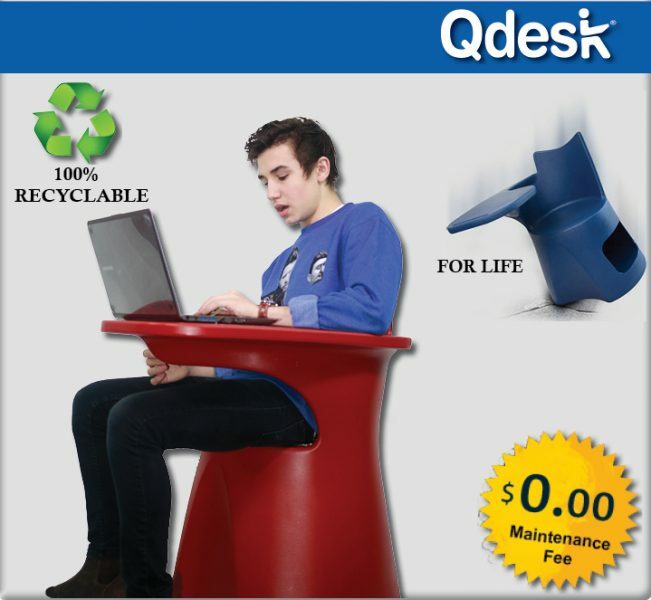 Comes in red, blue, pink, green, purple, gray and custom colors. Available in size M, Produced in just one piece, it has no jointing, welding or screws which can get loose from constant use. 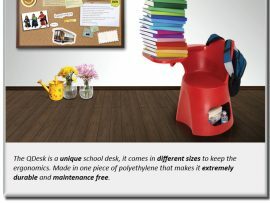 In addition to being environmentally friendly, it’s also just a lot better looking than most current classroom desks. 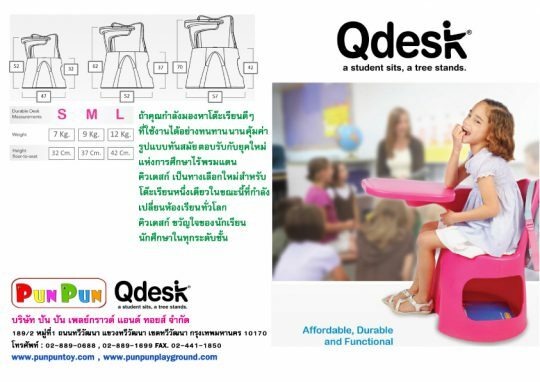 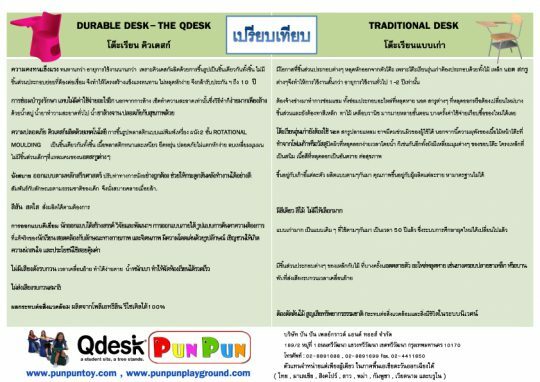 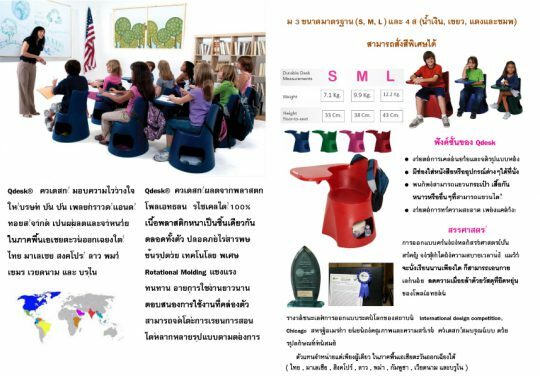 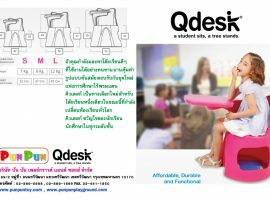 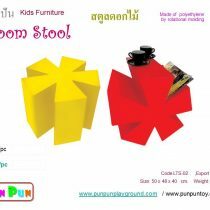 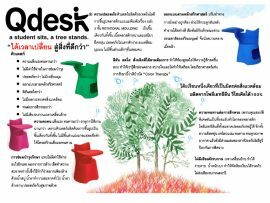 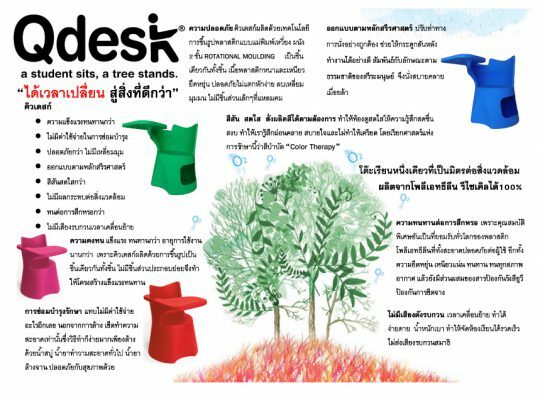 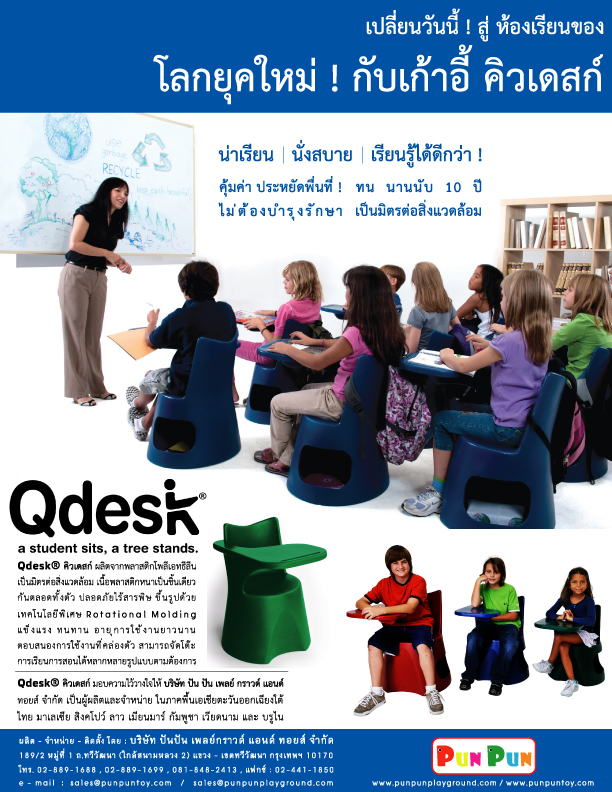 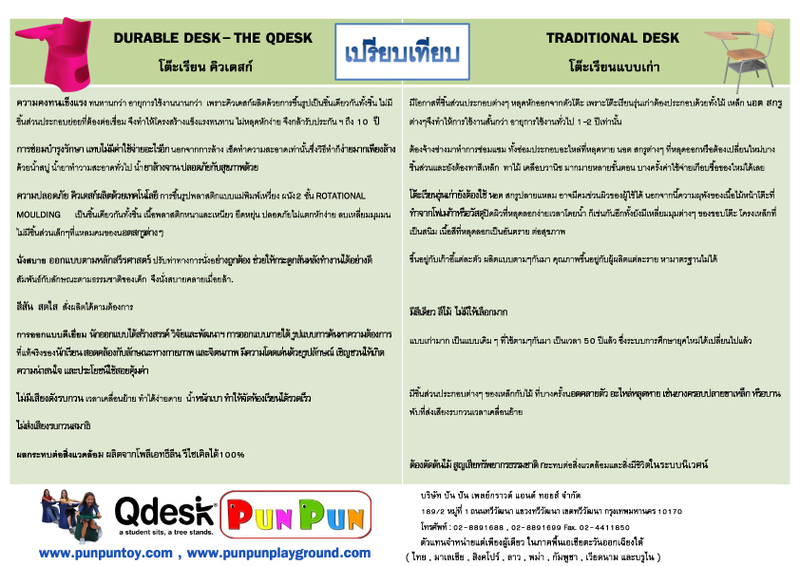 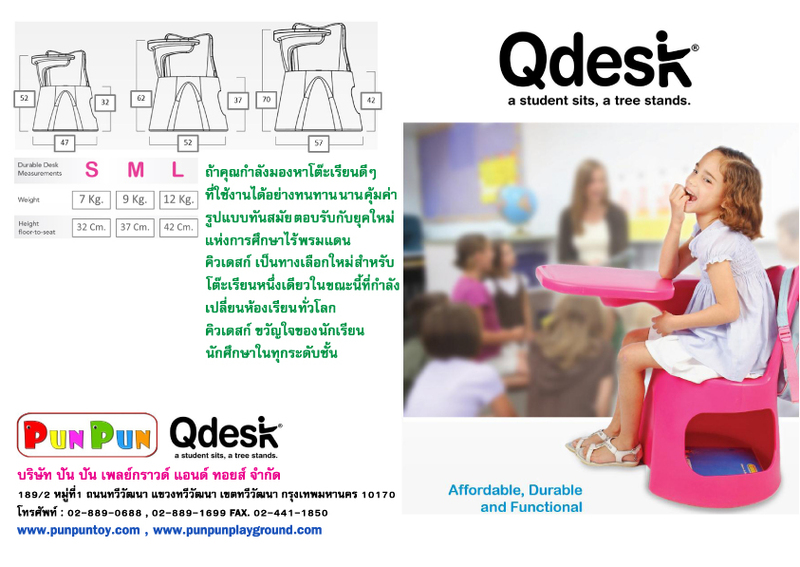 หมวดหมู่: FURNITURE, New Arrival, QDESK. 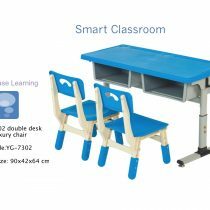 Dimensions : L 53 x W 66 x H 67 cm.